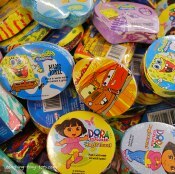 Kids love practically all types of party favors from little toys, stickers, candy and balloons. I love seeing the girls get excited over a tattoo sticker or a simple toy but I also love it when we get useful goody bag items. Below are some of the things we have given or received from kids birthday parties. For those looking for an online resource for party favors, here are the three companies that we would recommend. I've seen the Birthday Express favors first hand and was impressed with the quality. 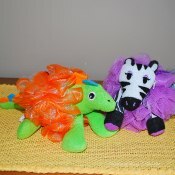 Bath puppets are fun and great for all ages. You can put them on water bottles to decorate your party too and have each child select one. 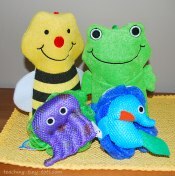 These are great for children and we found these cute ones at WalMart. Wrap in tissue and place in a favor bag or place in a clear cello bag and tie with ribbon matching your theme. You could add a cute soap for an additional favor. These are fun in the bath and you can find them in some of the popular themes like Cars, Sponge Bob, Spider Man, Dora and Diego. 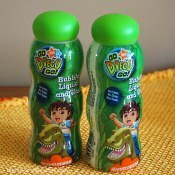 You can find some theme bubbles like this Diego labelled bubbles or it's very easy to make your own and tape it around your bubbles. 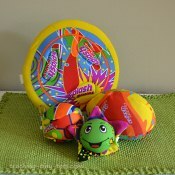 Having a pool party, how about some fun pool toys to give as favors. 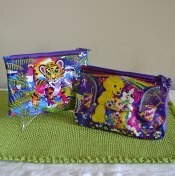 You can buy sets and give one to each child with some other small favors to go with it. These small travel games are cute and inexpensive. We like using them when we visit family. We found these particular ones in the dollar section at Target. 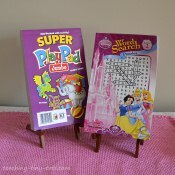 There are many types of puzzle books from mazes, fun pads, sticker books, color books and even Sudoku for kids. You can find these at the Dollar Tree, Michaels's Craft stores and Target's $1 section. 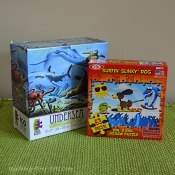 Small puzzles for older children are a great filler especially if you have a larger favor container or bag to fill. You can buy some in bulk online or locally. Certain themes are easier to find to match the theme of your party. I've seen Disney Princess, Dora, and Hello Kitty puzzles. 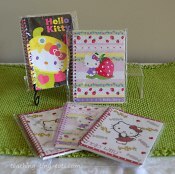 These come in all types of sizes and themes and are inexpensive. I always have a couple in my bag for the long wait in a restaurant or line. 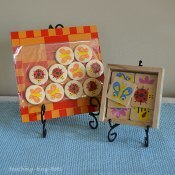 You can find these with many different colors, patterns and shapes to match you theme. Fill with items such as a couple pencils and an eraser or crayons. A good time to buy these are at the beginning of the school year when they have a larger selection and might be on sale. 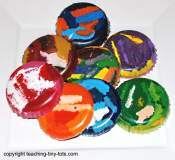 Rainbow crayons are so easy to make. Select crayons to match your party's color theme in different shades or mix and match to create fun shapes. Use silicone molds like Lego Molds, Hearts and more or tin muffin molds. See Here for Detailed How To at our sister site Teaching Tiny Tots!